Over the next few weeks, as the Long Course season closes out, new freshman are arriving on campus, and fans everywhere ramp up for another exciting NCAA Season, we will be running a team-by-team preview of the upcoming NCAA season. 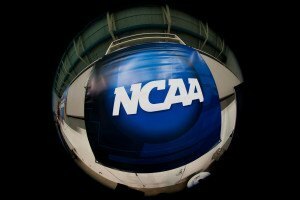 Starting with the no.12 teams and finishing with the defending National Championships (Texas men and Florida women) we will work our way down the top finishers from last year’s NCAAs and will also jump into some rising teams that we expect to break into the top tier this season. Click here to see the other women’s previews, and click here to see all of the previews, Men’s and Women’s. Team Overview: The Arizona Wildcats are basically hitting the reset button after last season. The numbers on how much they are losing are absolutely staggering. They will be without 167 individual NCAA Points from last season, spread out over 10 scorers. They return only 2 NCAA finals relay spots out of 20 from last season. They lose Annie Chandler, who finally broke through with a national title in the 100 breaststroke during her senior season. 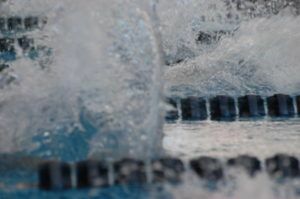 The last big pieces of their record-setting national championship year of 2009 are gone, and their dominant medley relays are completely dismantled. Justine Schluntz, who is a part of two NCAA and American record relays, is off to Oxford to study fluid dynamics and the harnessing of tidal energy on a prestigious Rhodes Scholarship. This team has lost incredible scorers, teammates, and leaders in a way that probably only the number 6 Texas A&M Aggies can commiserate with. Who’s Left: But that doesn’t mean that the cupboard is bare for the Wildcats this season. Backing up Annie Chandler this year is Ellyn Baumgardner, who swam the prelims of the medley relay, where she split 58.38. 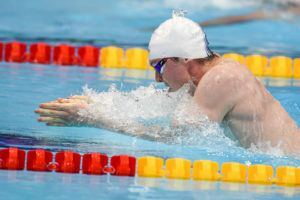 She was also the bronze medalist in the individual 100 breaststroke (59.44), though she is not as good as Chandler in the 200 breaststroke (38th-2:14.47). The two relay swimmers that the Wildcats bring back are junior Alyssa Anderson and senior Emma Darlington. Anderson had the team’s fastest split (1:44.61) on the 8th place 800 free relay last season, and should be the anchor of that group this year. This season, it’s probable that she’ll be on the team’s “A” 400 free relay as well. Individually, Anderson scored big points via a 7th place finish in the 500 (4:39.76) and a consolation-final championship in the 200 fly (1:55.13). This season, she should expect to be a 3-event finalist at NCAA’s, as she was the first swimmer out in the 200 free (1:45.84). Darlington anchored the fifth place 200 freestyle relay with a split of 22.31, and went a 22.09 in prelims. 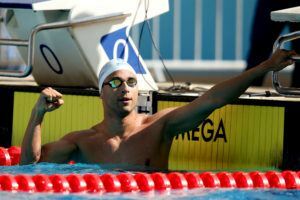 The hometown Tucson native was also the anchor in the of prelims 200 medley relay. Senior Dana Christ will be the best returning sprint butterflier on the squad, with bests last year of 52.3/1:47.4 in the 100 and 200. Arizona graduated their 4 best backstrokers in both the 100 and 200 yard distances, leaving junior Hannah Ross to lead that group. Her best NCAA finish last year was 14th in the 200, at 1:54.9. She was 26th in the 100, at 53.6. 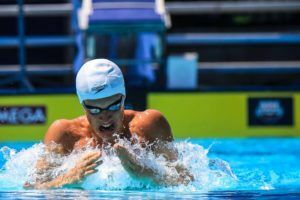 Shift in Focus: Thanks to the graduation of most of their speed in the strokes, and an influx of some big-time freestyle recruits, this program will experience a bit of a shift. Last year, Arizona was dominant in the medleys and simply very good in the free relays. Arizona assistant Augie Busch told me that he feels that thanks to the new sprinters, the free relays could be even stronger than last year, where they were fifth, seventh, and eighth (from short to long) at NCAA’s. This would be an impressive turnaround considering they lose their entire 400 free relay, and three-fourths of the other two. Balanced, Powerful Class: Obviously, losing such a big group of seniors, there was a lot of money to spread around on the incoming class, and Arizona did a fantastic job assembling a huge, talented, and deep freshman group. While it lacks an absolute slam dunk, 40-point freshman like Felicia Lee or Elizabeth Beisel, it does have a ton of immediate impact swimmers, and will make Arizona National Title contenders again within a few years, giving Arizona one of the top two or three classes in the country. Freestylers and Backstrokers and…Freestylers Oh My! : It’s clear what the focus of this year’s freshman crop was. It is a group stuffed to the brim with freestylers and backstrokers. The class is led by a talented trio of future superstars who already have some name recognition in Margo Geer, Lindsay Seeman, and Sarah Denninghoff. Geer is one of the impressive freestylers that Busch referred to as leading the charge in the relays. She has textile bests of 22.3/48.4/1:46.2 in the short freestyles. All three of those times would have put her on last year’s NCAA relays even without a year of training under Frank Busch, which will surely lead to even more impressive performances. In the 100, she has the fastest time in this class (after Knutson withdrew from Auburn) and is a probable A-finalist immediately. In the unpredictable 50, she should be an A-finalist, unless she has a bad race, which would still likely leave her in the the B-final. She would have a little bit of work to final in the 200—she’s roughly half a second off—but there’s no reason why that shouldn’t come as well. If needed, she could also be pressed into duty as a pretty good backstroker, with a high school best of 54.04. Seeman is a Canadian who qualified for the 2008 Olympics in the 200 back at only 15, making her the youngest athlete on the Canadian team. Last season, she had a best of 1:58.6 (converted from SCM) in the 200, though in 2008 she was as low as 1:56.1 (converted). She has also gone sub-1:50 in the 200 free. She hasn’t come close to career bests in hardly anything since that Olympic year, but now that she’s in Arizona, I expect her times to start coming down again. Seeman is going to have a sneaky good career for the Wildcats. Denninghoff is another local girl—she lives in Tucson and trains with Tucson Ford, which is the Wildcats’ club affiliate—continues the trend of big time freestylers and backstrokers. Her best in the 100 back as a senior was 53.95, which puts her in a great position to score at NCAA’s. She also has a very good 100 freestyle time of 50.05. Denninghoff was a ton better in the 200 back in 2009 than in 2010—more than seems to be reasonably explained by the suits at a 3.5 second time difference—and should get down towards the NCAA B-final mark of 1:54.8 by the end of her freshman year. 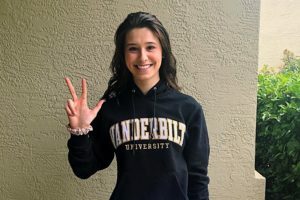 The top tier of recruits is rounded out by two more swimmers who fit into this these new focuses of backstrokers and breaststrokers. Aubrey Peacock out of Florida has a 53.82 100 back in textile, and a 50.38 100 free. Gracie Finnegan, the number 2 recruit from Ohio behind Geer, is a pure sprint freestyler, with times of 23.1 and 50.0 as a senior. Kaitlyn Fiederbach from Indiana is also a 50-low 100 freestyler. Altogether, this is an outstanding class, and it’s no surprise that the coaches expect big things from the free relays. This class alone should be able to put up a 400 free relay time in the 3:15 range: good enough for an A-final at least. Good Pickens: Arizona’s only real weakness last season was diving, where they didn’t have any NCAA qualifiers. That all changes this season, thanks to Sam Pickens, who is the only diver to ever win four-straight Pennsylvania AAA State Championships. Over the summer, Pickens finished 7th at USA-diving Nationals on the 1-meter, and had the top score during prelims. She is also a former Junior Nationals finalist on the 3-meter, and should be an immediate scorer for the Wildcats at NCAA’s. 2011 Outlook: It’s just really hard to imagine Arizona finishing as high as their fourth place finish from last season. They brought in at least three freshman NCAA scorers, and probably another four already on the roster who didn’t score last season, but considering that they lost ten, the math doesn’t look favorable. The addition of a big-time diver will definitely help. With another few classes anywhere near as good as this one, they will get back in the National Title race by 2013. For now, I see a sixth place finish as a good spot for Arizona. 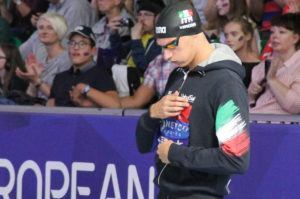 « Out of the Gates: Which Type of Meet is the Best Way to Begin a Season?